They are made from whole oat grains (also known as groats), with the endosperm, germ, and bran, intact. The whole grain is heated then pressed flat with steel rollers. This increases the surface area, so they cook in about 5 minutes. Quick cooking oats are also made from whole oat grains (groats) but the grain is sliced before heating and pressing with steel rollers. Quick cooking oats cook in about 1-3 minutes, depending on the size of the slices (coarse, regular to fine). The smaller sized ones take less time to cook. 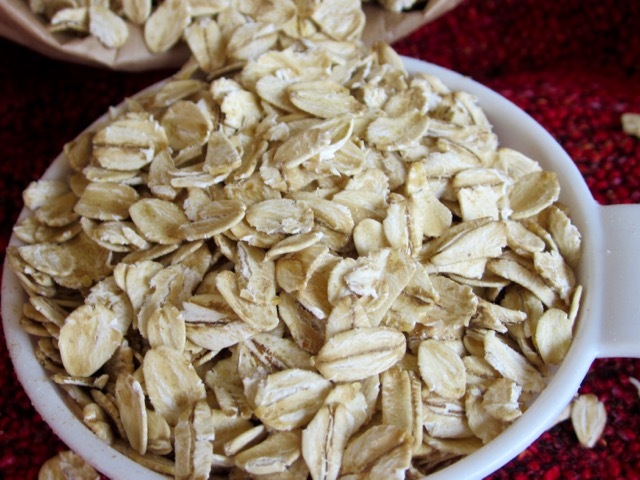 Instant oats are also made from whole oat grains (groats) that have been pre-cooked, dried, sliced and then pressed very thin. To prepare instant oatmeal add boiling water. They form a very smooth hot cereal. Instant oats often contain added salt, sugar, flavourings and colours and are not a healthy choice. Prev What is Steel Cut Oats?